Social media use is becoming increasingly engrained in the work of alumni relations, communications, fundraising and marketing professionals at educational institutions, according to results cited in a new white paper. This white paper reports on findings from the fifth survey of social media in advancement, conducted earlier this year by Huron Education and mStoner in partnership with the Council for Advancement and Support of Education. Nearly 2,000 respondents provided feedback on the tools they are using, how they use them, which are most successful and how to measure return on investment. Among the notable findings is growing recognition by advancement practitioners of the importance of social media to advancement. 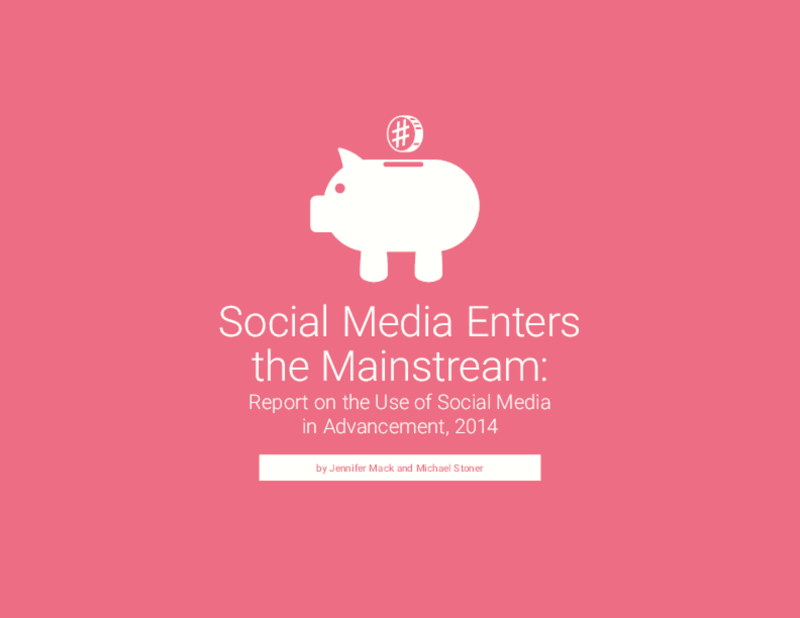 The white paper includes three profiles of institutional executives who successfully use social media. Copyright 2014 Council for Advancement and Support of Education, Huron Education, mStoner, Inc.